In the second quarter of the 19th century, theorem painting allowed young girls in schoolgirl academies to design and paint still life compositions by using a group of stencils which could be laid upon velvet, cotton, silk, satin, or more rarely, paper. Once the stencil grouping was complete, the young lady could paint each individual component inside each stencil with depth and toning not before achieved in America by the use of stencils. 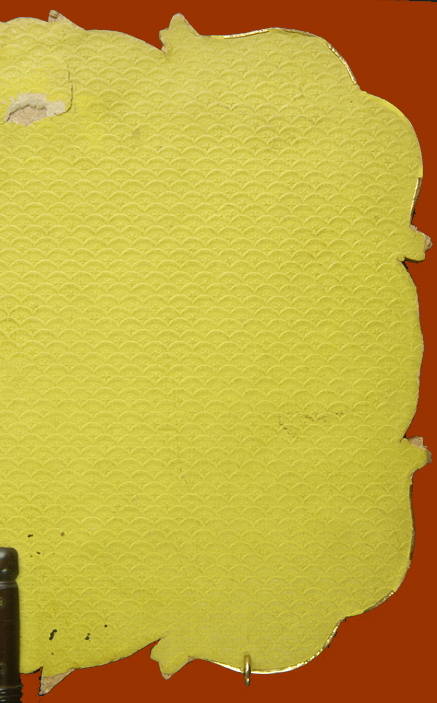 Before the introduction of theorem painting, stencils were used primarily for wall and floor designs. 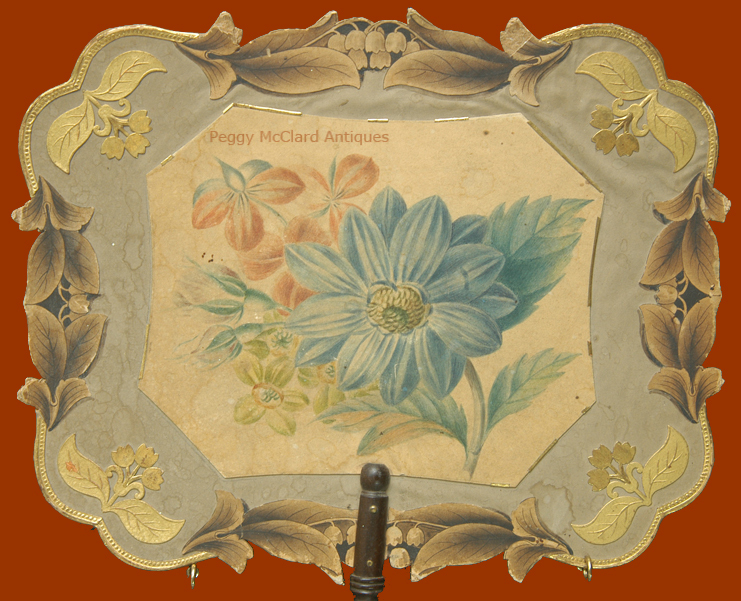 The use of stencils for painting allowed schoolgirls and young wives to make "fancy pieces" for their own homes as well as gifting to friends. The painting teacher would trace designs onto drawing paper that had been coated on both sides with linseed oil to make it transparent and then varnished so that the "horn paper" was stiff and the paint would not soak through. The instructor would then cut the design stencil with a pen knife. Students could pick from the teacher's stencils, arranging them on their own backing (velvet, cotton, silk, satin, or, more rarely, paper) to build her own composition. The stencils would then be weighted down and paint carefully applied stencil-by-stencil to produce a still life or sometimes even more elaborate scenes such as mourning or Classical-genre paintings. The final painting was usually embellished with some hand-painting, even if just a few tendrils coming from grapevines. 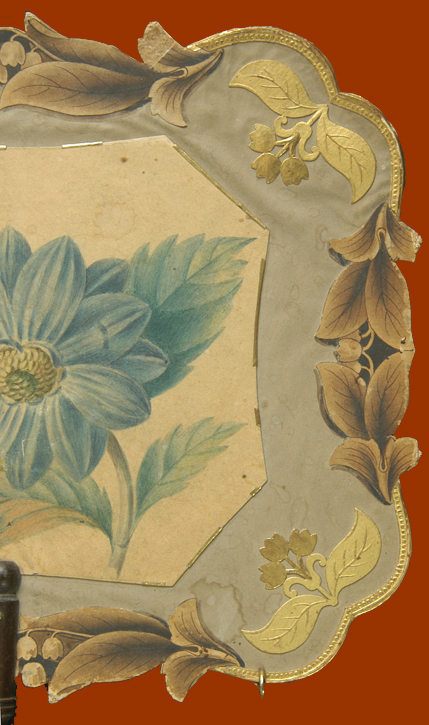 While most theorems were meant to be framed, the painting technique was also used to decorate pincushions, purses, belts, table, bed covers and, as here, hand-held face screens (to protect ones tender face from the heat of a nearby hearth fire (in current days, referred to as fans). 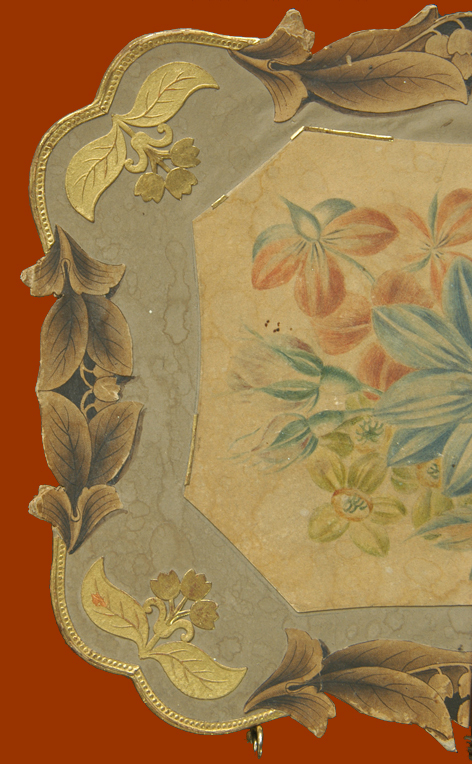 This face screen is a beautiful theorem on fine paper with a lovely center floral design of blue, coral and yellow flowers with green flowers and stems. The theorem is painted on fine ivory paper that has been cut into an octagon with curved edges and pasted onto a pale grey paper which serves as a backdrop. The ivory paper is edged with delicate gold foil (more specifically referred to as passapartout). The edges of the fan are beautifully shaped and bordered by paper and Dresden gold foil scraps which really add a depth I've not seen before to this face screen. Between the paper scrap (which comes to the very edge of the screen in the center of all four sides) the fan is edged with more textured passapartout. A slender wood handle is beautifully turned and stained dark which really sets it off from the light colored body of the fan. 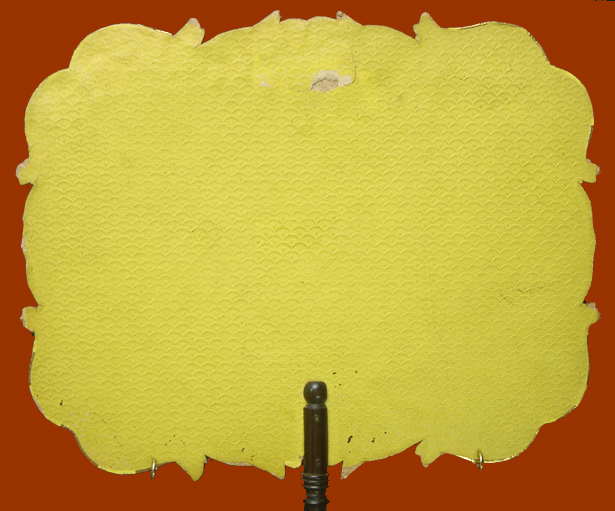 The fan body is held stiff with card which is sandwiched between the fine paper front and a textured yellow colored paper on the back. As you can see in the images, the face of the screen has a bit of discoloration, mostly on the left side (both to the grey background and to the ivory theorem paper. The foil has, expectantly, worn away in some places although the wear seems to mostly be to the very thin foil that borders the center, ivory paper. The outer, textured foil has held up very well. 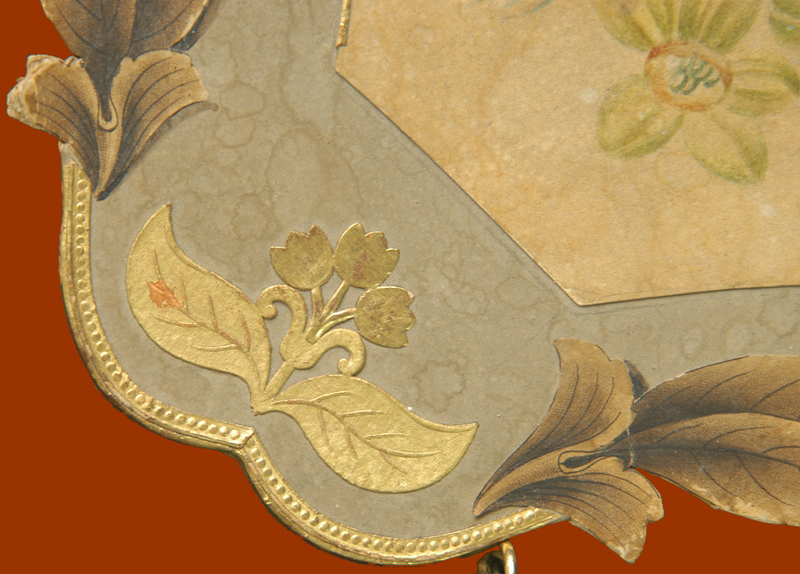 The brown paper scrap (which depicts lily-of-the-valley flowers & leaves) has wear to the edges that are at the farthest points of the fan body. I've tried to show them in the close up images below. 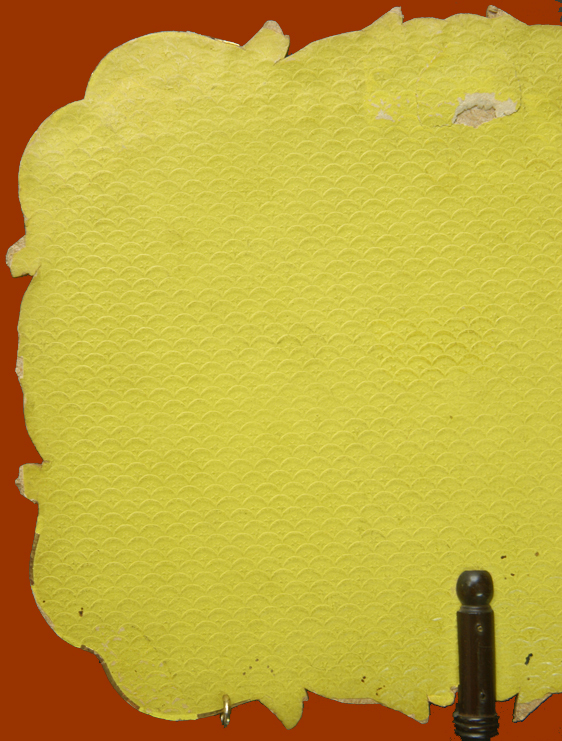 The back textured paper has a small loss about 1 1/2" from the top at 12 o'clock which you can clearly see in the images. 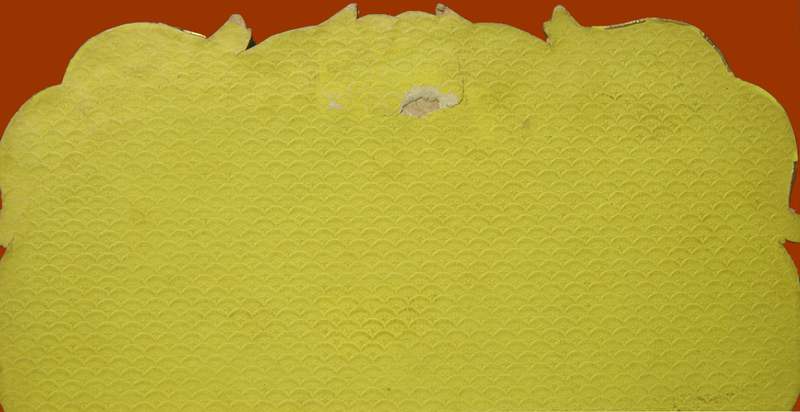 The yellow paper also has some scattered spotting near the bottom. 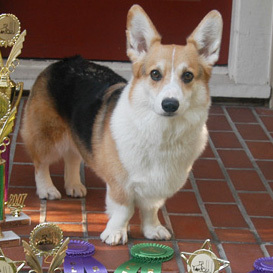 Those also are shown to you in the images. The turned handle has the original brass tacks or brads but the handle has a little movement (i.e. wobble) to it....but just a little. These are small apologies for such a rarity. Especially one that has such style and so many "extras" such as the scrap decoration and the two colors of paper. The face of the screen measures 10" wide by 8" tall at the farthest points. 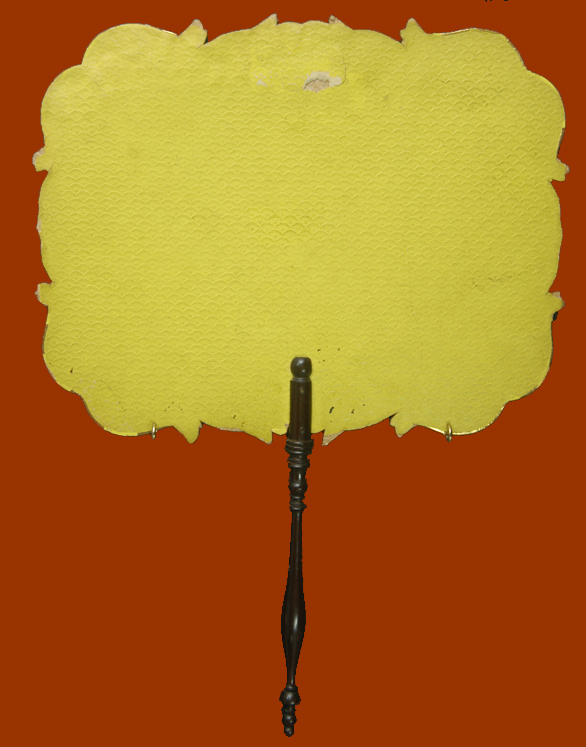 The overall height of the fan, including the handle is 14". I have two of these fans in my collection. 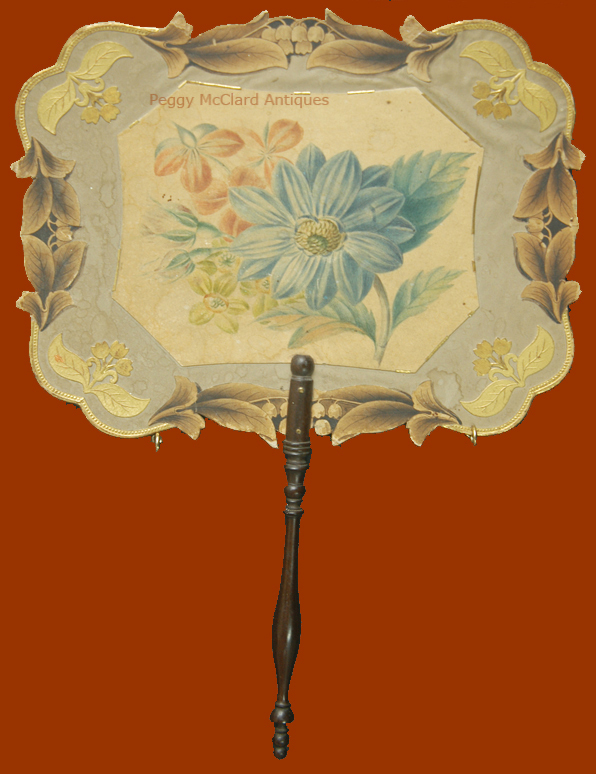 I covet these fans and can't believe that I have 3 to offer currently! This one is very special because of the shaping of the screen and the really unusual addition of the two types of paper and the applied decoration. The price on this face screen is really good--don't let it slip away! This is a wonderful example of American schoolgirl art. Circa 1845. Please see Theorem Painting in America for more information on this wonderful form of American folk art.